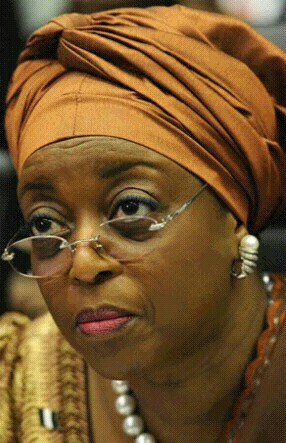 A Federal High Court sitting in Lagos, yesterday, ordered thr final forfeiture of two penthouses linked to a former Minister of Petroleum, Mrs Diezani Alison-Madueke. Trial judge, Justice Cecilia Mojisola Olatoregun, ordered the final forfeiture of the two penthouses, while granting an application by the Economic and Financial Crimes Commission, EFCC. Diezani Alison-Madueke The EFCC in the suit had as respondents, Alison-Madueke, Donald Amagbo, Schillenburg LLC and Sequoyah Properties Limited. The court had on December 5, 2017, ordered an interim forfeiture of the following properties: “Penthouse 21, Building 5, Block C, 11 floor, Bella Vista, Banana Island, Ikoyi and Penthouse 22, Block B (Admiralty “Estate also in Ikoyi, be forfeited to the Federal Government, pending the conclusion of investigation. “At yesterday’s proceedings in the matter, Mr. ABC Ozioko, counsel to EFCC, told the court that he had a motion on notice brought pursuant to the provisions of the EFCC Act, the 1999 Constitution as well as under the inherent jurisdiction of the court. He urged the court to order a final forfeiture of the properties listed in the schedule. Relying on the depositions in the affidavit deposed to by one Abdulrasheed Bawa, Ozioko argued that it was now pertinent for a final forfeiture order to be made, following the interim orders made on December 5, 2017. He informed the court that in compliance with the earlier orders of the court, the interim orders were advertised on December 20, 2017. In response, counsel to the respondents, Bassey, informed the court that he had filed a counter-affidavit before the court and was not opposed to the application for final forfeiture. In a short ruling, Olatoregun granted the orders as prayed and ordered a final forfeiture of same.